You will have an array of lovely elements that you will be showcasing on your wedding day! From beautiful linens to gorgeous floral arrangements, you have created a multitude of gorgeous details to bring your big day to life. With so many memories made, you will certainly want to keep some of your elements of décor, as they will pose as wonderful keepsakes. Top Tier of Your Wedding Cake. Your wedding cake will certainly want to be devoured by all of your guests. However, you should consider keeping your top tier! A wonderful wedding tradition is to freeze the top tier of your cake, and then share it with your partner on your one-year anniversary. Bridal Bouquet. Wedding bouquets certainly are stunning! Instead of letting your blooms from yours wilt away, preserve them! 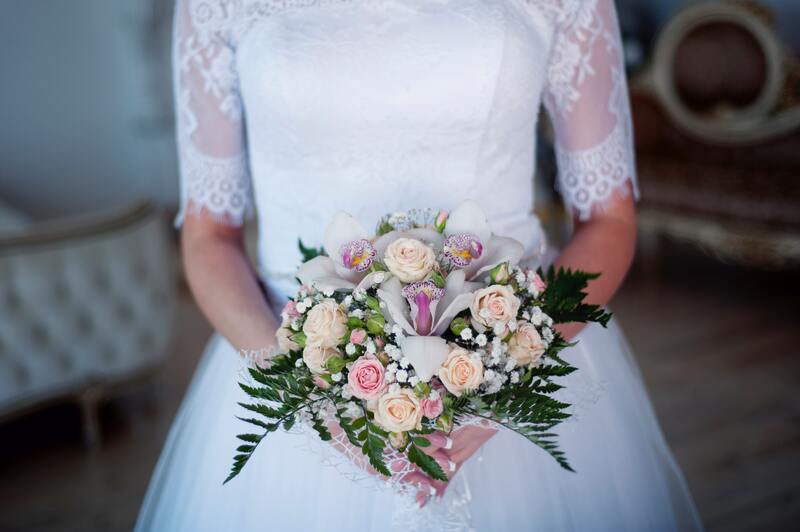 By preserving your bridal bouquet, you can always look back on its beauty, and you can even display it within your home as a lovely element of décor. Wedding Dress. You will make your grand debut down the aisle within your stunning wedding dress. You should make the most of yours by preserving it! After all, you may want to wear it again for your vow renewal, or may even have a daughter one day who may want to wear it for her own walk down the aisle. Your wedding day should be remembered! By keeping these items for your own big day, it certainly can be. If you are all set to discover your wonderful wedding rentals in Grover Beach, California to bring your own big day to life, please contact us here at Butlerz Event & Beach Rentals. Providing quality Grover Beach wedding rentals, we would be pleased to be a part of your happily ever after.